Dice have been around for centuries and been discovered in ancient civilizations from Egypt to China to Mexico. Playing cards were likely invented in China (they had paper) and then spread across the Middle East and into Europe. Civilizations all across the world have been obsessed with, or had to ban gambling in various forms. I point all this out to suggest that an interest in luck or randomness spans history and cultural boundaries. The question is why? I recently read a blog post debating an age old question about poker – is it a game of skill or a game of luck? I am not a poker player, but I have played it enough to see the skill in being able to read players, calculate odds, and bluff. Nevertheless, the game involves playing cards being randomly distributed so there is no denying that luck plays a role in the outcome. A poker player can do everything right and still lose because the one card his opponent needs gets flipped over. In the past decade there has been an increased number of strategy games produced that eliminate or reduce the effects of luck or randomness, but games without luck have existed for some time – chess and checkers. If we know how to create games that reward players for skillful play, why do we continue to enjoy games with a great deal of randomness? The existence of luck has not stopped poker from being treated like a sport on ESPN, backgammon or Bridge or Scrabble from having serious tournament play, or games like War or Monopoly from being family favorites. If rewarding skillful play was the goal, almost any game could be altered to eliminate randomness or mitigate luck. A deck of cards with two suits would be more predictable than one with four. Instead of rolling dice backgammon players could each be allowed a certain number of moves each round. Instead of drawing random tiles from a common pile in Scrabble, each player could have his or her own draw pile, each with the same letters so that everyone will always have to deal with one Q and one X each game. Would these changes improve the games? Obviously that is a matter of opinion, but I would like to suggest some reasons why randomness and luck are embraced in games. 1) Most people play games to be social and it’s less fun when one person always wins. This is especially true in family games. When I play with my kids I like games that give them a chance to win. 2) Randomness is exciting. Psychologists could probably explain this in more detail, but humans across cultures seem to enjoy the thrill of letting a die roll or a card flip determine their fate. Supposedly even Zeus, Poseidon, and Hades rolled dice to determine who would control the heavens. 3) Randomness means every game is different. Chess is an obvious counterexample here since the lack of randomness has done little to limit one’s ability to play game after game. Simpler games, however, could quickly become dull if every time you played you used the same strategy or made the same decisions. One could argue that every hand of poker is unique since even if the cards are the same, the players involve change, and the amount of money at stake changes. 4) Randomness simulates real life. Luck may just be in our heads, but randomness is surely a scientific fact. Although I enjoy chess or any game with minimal luck and randomness, I do admit that such games seem somewhat artificial or inorganic. Something about “the best laid plans” going awry seems quintessentially human and natural when playing a game. The Game of Life may not be even remotely like a real life, but the feeling of some random event beyond your control changing your life is certainly something most of us have experienced. 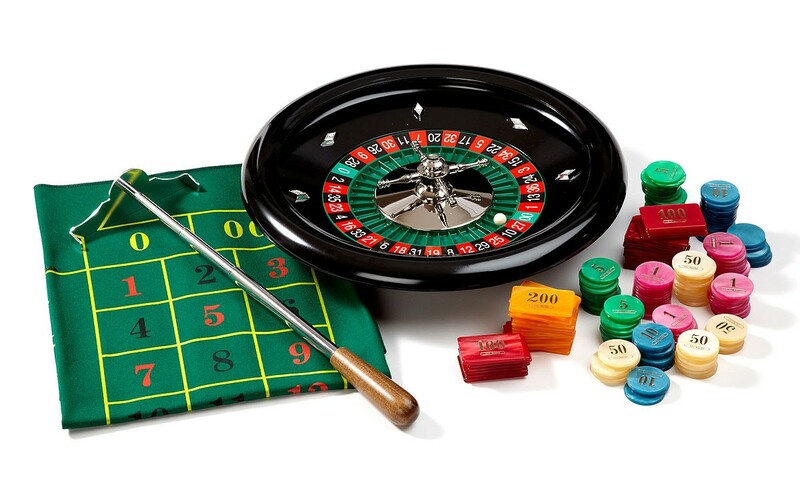 Ultimately, although there is clearly a place for games of skill in our society, games of chance continue to have an irresistible draw.